Why am I paying £12.50 a day? 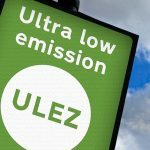 In order to improve London’s air quality, the Mayor of London introduced a new charge called the “ULEZ” which stands for “ultra-low emission zone”. If your vehicle falls below the emissions standard, you will be charged £12.50 per day. If your vehicle is Euro 6 standard, again great news, there is NO charge. Generally, diesel vehicles registered from September 2015 fall within this. How can I check if my vehicle meets the above criteria? The same area as the existing congestion charge. Very important – Operate 24 hours a day, 7 days a week. Pay online from TFL website from the 08 April. Download the office TFL app. If you fail to pay, a penalty charge notice of £160 will be sent to you which can be reduced to £80 if paid within 14 days.